America's largest oil refinery is now fully owned by Saudi Arabia. Saudi Aramco, the kingdom's state-owned oil behemoth, took 100% control of the sprawling Port Arthur refinery in Texas on Monday, completing a deal that was first announced last year. Port Arthur is considered the crown jewel of the US refinery system. The Gulf Coast facility can process 600,000 barrels of oil per day, making it the largest refinery in North America. Aramco previously owned 50% of Port Arthur through a joint venture co-owned with Royal Dutch Shell (RDSA) called Motiva Enterprises. But the two oil giants had a rocky relationship and reached a deal in March 2016 to separate their assets. Shell put out a statement on Monday confirming the "completion" of that break-up. In addition to Port Arthur, Aramco is acquiring full ownership of 24 distribution terminals. Aramco also gets the exclusive right to sell Shell-branded gasoline and diesel in Georgia, North Carolina, South Carolina, Virginia, Maryland, the eastern half of Texas and the majority of Florida. 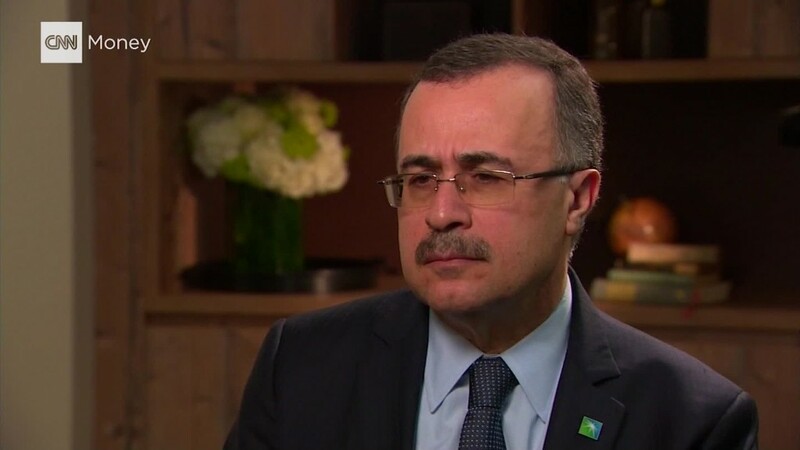 Aramco's deal allows the oil giant to shore up one of its best customers -- the US -- ahead of next year's planned IPO. Now that it controls the largest American refinery, Aramco can send more Saudi crude into the US for refining to sell to North American drivers. Saudi Arabia is already America's second-largest source of crude, behind only Canada. The US imported 1.3 million barrels of Saudi crude a day in February, up 32% from last year, according to the Energy Information Administration. Saudi Arabia is hoping the Aramco IPO will be valued at a stunning $2 trillion. The kingdom continues to grapple with low oil prices and a bloated budget, making it critical that the Aramco IPO goes off without a hitch. Saudi Arabia, the largest oil exporter in the world, dramatically slashed taxes on Aramco in March in an effort to quell concern about the oil giant's valuation. Even as Saudi Arabia extends its reach in the US, the Trump administration has pushed for American energy independence by unleashing the domestic energy industry. Trump said in a May 2016 speech that he wants to bring about independence from "our foes and the oil cartels." Trump also threatened before he was elected to halt imports of oil from Saudi Arabia and other Arab countries if they didn't commit ground troops to fight ISIS. After Trump was elected, Saudi energy minister Khalid al-Falih later warned that blocking the kingdom's crude could backfire. "Trump will see the benefits and I think the oil industry will also be advising him accordingly that blocking trade in any product is not healthy," Falih told the Financial Times in November. Despite that rhetoric, relations between the US and Saudi Arabia appear to have improved under Trump. Saudi Arabia's powerful deputy crown prince Mohammed bin Salman met with Trump in the Oval Office in March, a meeting heralded by the kingdom as an "historic turning point" between the two countries.